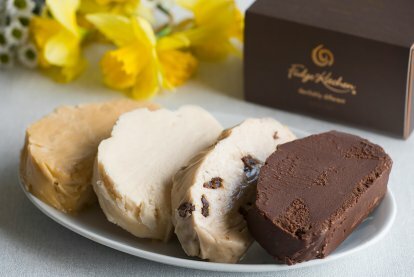 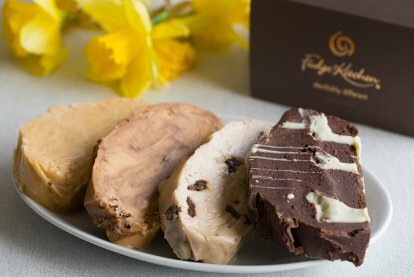 A Slice Of Heaven … We can’t think of any occasion when four generous slices of fresh, handmade, authentic fudge isn’t the answer. 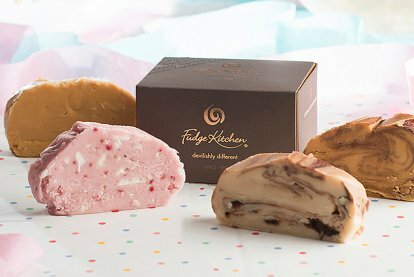 But because Happy Everything doesn’t quite work, we’ve created a selection of beautiful, themed presentation boxes; each packed with four individually wrapped flavours that have been carefully selected for both the occasion and to complement each other. 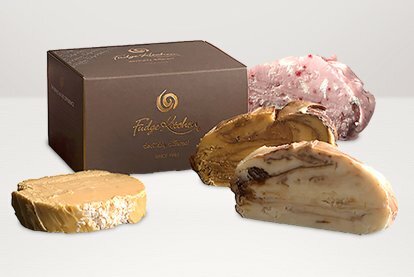 Guaranteed to fast track you into "good books” territory. 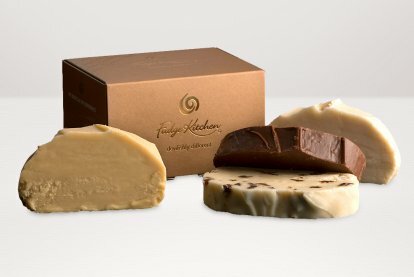 Our slab fudge is freshly made and should keep for up to 10 days, but whether you can wait that long is another matter. 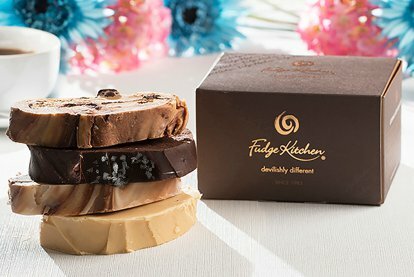 Store your fudge at room temperature, as the sugar in the fudge acts as a natural preservative. 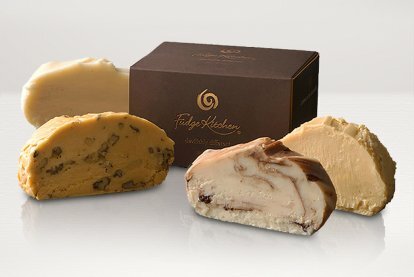 DO NOT REFRIGERATE it. 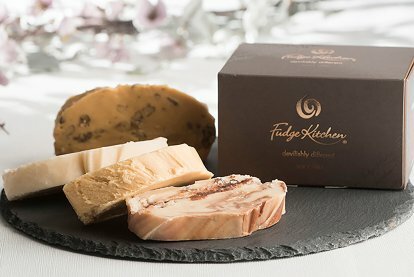 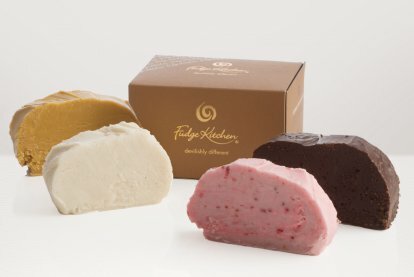 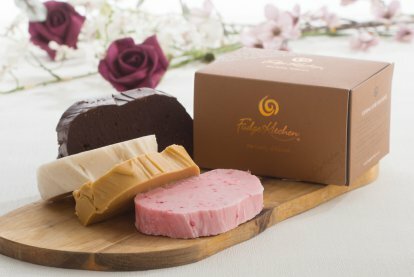 Did You Know … Every handmade batch of our original fudge takes a minimum of 45 minutes for a skilled fudgeteer to make, across three involved processes. 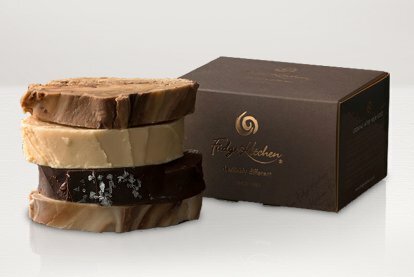 There’s a lot of love, knowledge and muscle gone into that there slice.